Finished a pair of rustic door handles recently. These are hardware for a newly constructed garden shed. The handles are combination of old parts and new material. We used a portion of a vintage horse bridal for the handles, which dangle from the plate...and make a cool sound when they clang on the plate! A sturdy metal backing plate makes it easy to attach to the shed doors. 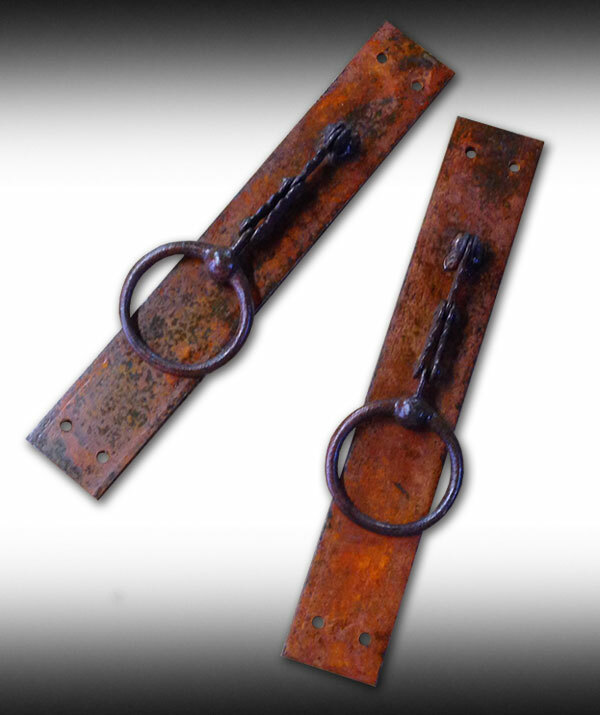 Each handle is distressed, rusted and coated with acrylic sealer for a great look. These are approx. 13 inches long and 2.5 inches wide.